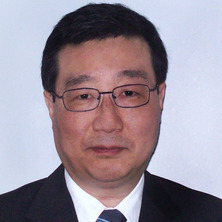 Professor Ping Chen is Chair in Chinese Studies. His research interests include functional syntax, discourse analysis, semantics, pragmatics, sociolinguistics, and historical linguistics. His current research projects are related to information structure in Chinese, and uses of languages in present-day China. He teaches in the areas of Chinese language and linguistics. MA in Chinese, Chinese Acad.Soc.Sc. Chen, Ping (2018) On empirical evidence in the studies of modern Chinese grammar. Contemporary Rhetoric, 5: 1-12. Chen, Ping (2018) Chinese linguistics: past, present and future. Yuyan Zhanlue Yanjiu (Chinese Journal of Language Policy and Planning), 3 1: 25-31. Chen, Ping (2017) Inheritance and Abandonment - on the True Significance of the Vernacular Written Chinese Movement. Yuyan Zhanlue Yanjiu (Chinese Journal of Language Policy and Planning), 2 61-70. Chen, Ping Introduction, Integration and Innovation. Beijing, China: Commercial Press, 2017. Chen, Ping Language in a Modernizing China. Beijing China: Commercial Press, 2017. Chen, Ping The Chinese Language: Form, Meaning and Function. Beijing, China: Commercial Press, 2017. Translation Studies and Cross Cultural Communication. Edited by Leong Ko and Ping Chen Taipei, Taiwan: Bookman, 2013. Language Planning and Language Policy: East Asian Perspectives. Edited by Nanette Gottlieb and Ping Chen London, United Kingdom: Curzon Press, 2001. Chen, P. Modern Chinese: Its History and Sociolinguistics. Cambridge & New York: Cambridge Univ. Press, 1999. Chen, Ping (2015). Language reform in modern China. In William S-Y Wang and Chaofen Sun (Ed. ), The Oxford Handbook of Chinese Linguistics (pp. 531-540) Oxford, United Kingdom: Oxford University Press. Chen, Ping (2015). Referentiality and definiteness in Chinese. In William S-Y. Wang and Chaofen Sun (Ed. ), The Oxford Handbook of Chinese Linguistics (pp. 404-413) Oxford: Oxford University Press. 陳平 Chen, Ping (2013). 從結構主義語義學角度看「葷(菜)」與meat 的釋義和翻譯. Definition and translation of hun (cai) and meat from the perspective of structural semantics. In 高亮 (Leong Ko) and 主編 (Ping Chen) (Ed. ), 翻譯研究與跨文化交流 (Translation Studies and Cross-Cultural Communication) (pp. 111-122) Taipei, Taiwan: Bookman. Chen, P. (2007). China. In Simpson, A. (Ed. ), Language and National Identity in Asia (pp. 141-167) Oxford, UK: Oxford University Press. Chen, Ping (2001). Development and standardization of lexicon in Modern Written Chinese. In Gottlieb, Nanette and Chen, Ping (Ed. ), Language planning and language policy: East Asian perspectives (pp. 49-73) Surry, UK: Curzon Press. Chen, P. (2001). Development and standardization of lexicon in modern written Chinese. In N. Gottlieb and P. Chen (Ed. ), Language Planning and Language Policy: East Asian Perspectives (pp. 49-74) Surrey, UK: Curzon Press. Chen, P. (2001). Functions of phonetic writing in Chinese. In N.Gottlieb and P. Chen (Ed. ), Language Planning and Language Policy: East Asian Perspectives (pp. 75-94) Surrey UK: Curzon. Chen, P. (2001). Language policy in Hong Kong during the colonial period before July 1, 1997. In N. Gottlieb and P. Chen (Ed. ), Language Planning and Language Policy: East Asian Perspectives (pp. 111-128) Surrey, UK: Curzon. Chen, P. (2001). Policy on the selection and implementation of a standard language as a source of conflict in Taiwan. In N.Gottlieb and P. Chen (Ed. ), Language Planning and Language Policy: East Asian Perspectives (pp. 75-94) Surrey, UK: Curzon. Chen, Ping (2015) Opposition with the system as the foundation principle of Saussurean Modern Linguistics. Dangdai Xiucixue, 2 1-11. Chen, Ping (2015) Referentiality: a core concept in linguistics. Dangdai Xiucixue, 3 1-15. Chen, Ping (2015) Researching for publication in linguistics: what can we learn from classic works in the field. Dangdai Xiucixue, 6 1-22. 陈平 Chen, Ping (2013) 政治、经济、社会与海外汉语教学——以澳大利亚为例. Political, economical and ethnographical perspectives on teaching Chinese as a second language: a case study of Australia. Shijie Hanyu Jiaoxue, 27 3: 400-412. Chen, Ping (2012) Discourse analysis and studies of meaning. Dangdai Xiucixue, 4 2-9. 陳平 Chen, Ping (2008) 語言民族主義:歐洲與中國. 外語教學與研究, 40 1: 4-13. Chen, P (2006) Introduction, integration and innovation: Reflections on the interaction between western linguistics and Chinese linguistics. Contemporary Linguistics, 8 2: 165-173. Chen, P. (2004) Double NP construction and topic-comment articulation in Chinese. Zhongguo Yuwen [Chinese Language & Writing], 6 493-507. Chen, Ping (2004) Han Yu Shuang Xiang Ming Ci Ju Yu Hua Ti - Chen Shu Jie Gou. Zhongguo Yuwen, 6: 493-507. Chen P. (1996) Toward a phonographic writing system of Chinese: A case study in writing reform. International Journal of the Sociology of Language, 122: 1-46.